Happy Thanksgiving, All! I hope everyone who reads this has a safe, sane and sober holiday! I am going to take the easy way out today and do a gratitudes list instead of digging in deep into some situations that have come up within the last several days that are preoccupying my brain. The good news is that I have my support system in place that keeps me in check. While I am concerned that my “pink cloud” stage may be coming to an end and the real work is about to begin, I am confident that I’ve made the right connections and established the healthy habits(the blog specifically) to make it through the next stage of my recovery. So bring on the list! My Family – I have come to realize in the past year the importance of my family in my life. They have shown such love and support to me and I will forever be grateful. I used to feel so alone and like an outsider, but I realize now that those feelings were misguided. 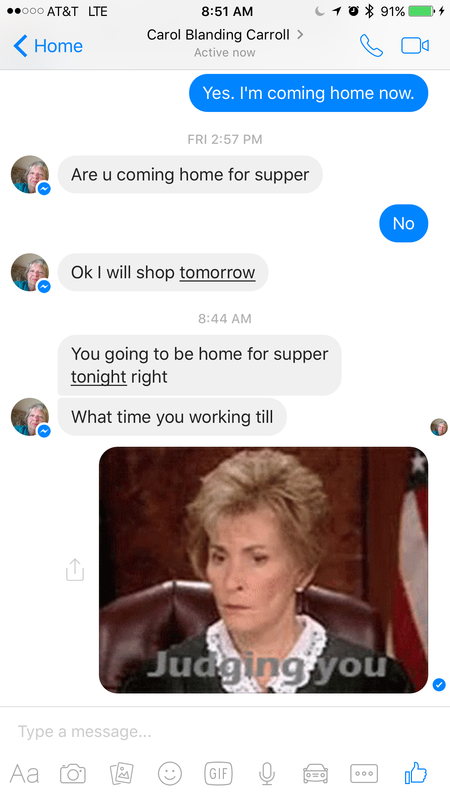 I am an important part of my family and I take that role very seriously. My Friends – My entire life I have searched to amass as many of these as possible. I have, in the past, not been very selective. This past year has shown me the difference between a friend and an acquaintance. People who I consider my friends these days more likely fit into the “family” category. You guys know who you are. Some of you have been there my entire life, some of you for a few decades and some of you for just a few years. All of you hold your own special place in my heart. Thank you. Alcoholics Anonymous – The program works. It has saved my life and given me back that which I never thought I had ever had or ever thought I could have…my sanity. Smitty and Spanky – My cats are such a wonderful source of strength for me. I know this may sound strange because they are pets, but my relationship with these wonderful creatures and the love and devotion they show to me has gotten me through most of the troubling times in my adult life. The eight months I spent without them was one of the worst times in my life and having them back truly began my journey to sanity. I am very lucky to have had Smitty for almost 17 years and Spanky for almost 14 years. I know that there will be a time in the not so distant future when they will both move on and I plan to cherish every moment I have with both of them while I can. My job – Although I am not completely fulfilled in my career, my job has afford me the time and resources to regain my life, health and sanity. While it may frustrate the hell out of me on a daily basis, when I am there, I work as hard as I can, because without that job I would not be where I am today. My sponsor – Joe has opened my mind to the world of possibilities I see before me. I respect him so much for reaching out to me and seeing my sick soul and offering a path to sobriety. He is an inspiration to me and I will work very hard to honor him by leading a sober, sane life. My Mom – Along with everything stated in #1, I have to include a separate gratitude to her. I’ve given my Mom alot of sleepless nights. I don’t know that I can possibly ever make up to her everything that should be, but I will continue to attempt to do so every day for the rest of our lives. Finally…Me. Yes I am grateful for me. I am grateful that I have allowed myself the patience to strive to get better. I am grateful that I have forgiven myself for the things I shouldn’t have blamed myself for in the past and the strength I have to move to forward. That’s it. I wish you all the happiest of Holidays and a prosperous New Year! My good friend Kath warned me before I started digging into my old journals from the troubling times in my early teen years to make sure I was in the right mindset to do this and to have a plan to deal with any emotional responses I have from whatever I discover. This was fantastic advice and I am so happy she made me think about that before I did. So with a solid coping plan in place I dove in and what happened has been absolutely fascinating. When I read my journal entries I am reminded of the emotions I had and the intention behind it. What’s also very interesting to me is the style I wrote in. From entry to entry I wrote in a different “person”. Some are told in the first person and in the present. Some are told in the third person like I was writing about someone else long ago but in reality it was what was happening to me at the time I was writing it. Just fascinating how my mind worked. I remember specifically that the way I wrote was implied that someone would read it, not in a personal(this is only for me)way. To that effect some of it is intentionally not honest or accurate with respect to my feelings. It was the emergence of a deeply rooted coping mechanism. Some of my entries are passive-aggressively attempting to control the emotional response of the reader to a specific conclusion: sympathy. I can’t think of more than a few movies, TV shows or book plots that I’ve read or seen in the last 25 years that has surprised me. I realize that Hollywood recycles plots and plot devices repeatedly and that this is not a particularly uncommon skill but I also know that my mind “plays the tape to the end” very quickly upon the start of a story. To this end, I know how it works. I know how they do it. It’s what makes me a good story teller and a completely effective liar. It may sound like I am being very tough on myself. I am. This coping skill has allowed me to have control over uncomfortable situations I was not ready to process for a long time. Honesty, especially self-honesty, is one of the most important part of recovery, and this is one of my biggest challenges. Reigning in “Brenda” has helped with this. This has probably been one of the most scary and deeply intimate admissions I’ve made here, but it is important to me to work on changing my behavior with regards to this and start to be as honest and authentic as I can be. 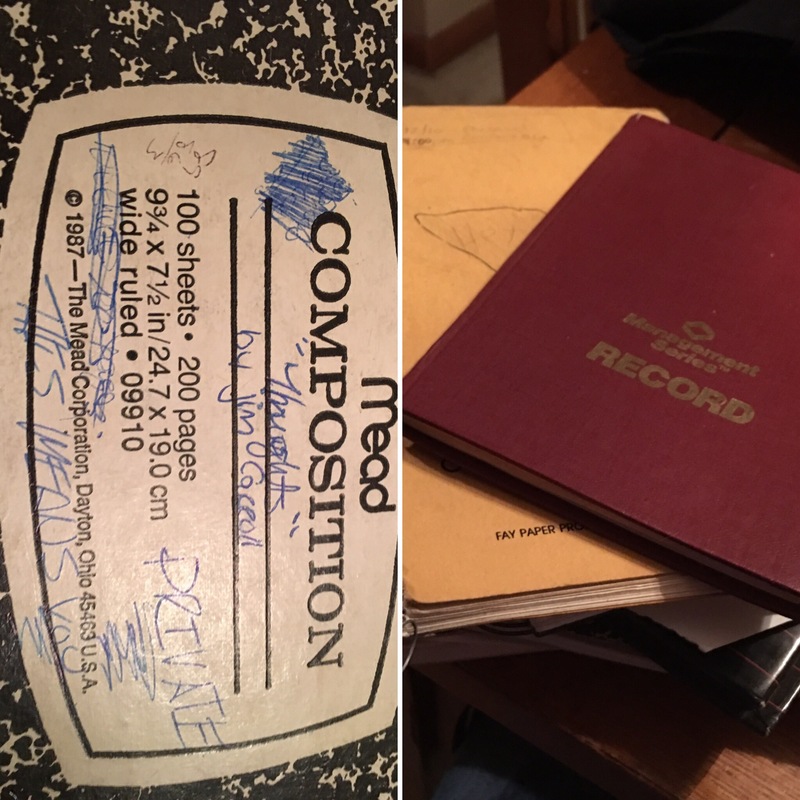 As I mentioned in my post yesterday I came across all of my old journals that I had thought were lost in a move. Thankfully, for your entertainment, they were not. I started journaling after my parents separation. Reading through what I have of it so far is intense but very therapeutic. I feel incredibly blessed that I have these journals to reflect back upon. It helps me make sense of the root of many of the issues I am working on right now. I’ve always loved this song, but now it has become a mantra for my life. I dedicate this song to my friends and family as a promise. When I sing “I’ll be better than I am…” I mean it. Much love to all of you and thank you to AA for being a beacon of light guiding me home to sanity. I’ve used the word “recovery” often lately. The word is wholly appropriate to my situation, but it doesn’t really describe how I feel about it. Perhaps a more appropriate word is “Discovery”. I’m discovering who I am for the first time. I was reading through the AA Big Book and found an appendices entitled “Principles”. It made me thing about my own principles and how I have actually never articulated to myself what exactly my principles are. So, what a great topic for today! Here are a list of several I won’t compromise on. This has been the most important key to my recovery. I never realized how dishonest I have been in my life. I think lying is something any person who has either experienced childhood trauma or forced to live in the closet can identify as a dangerous coping mechanism that has some of the most disastrous repercussions. There were times when I actually thought I was telling the truth when in retrospect I was completely lying. Delusion is such a powerful tool for the addict. It allows us to cope with our actions which we know are wrong but are powerless to change. It helps us live with ourselves. This is why it is so difficult for the addict to recover. The delusion is so deep. We can’t be honest with ourselves, how can we honest with our friends and loved ones? It is no surprise to me that “Admitting we are powerless over alcohol” is the first step of recovery, because it is the most difficult one. It requires us to breakdown our most powerful coping mechanism. You can’t stop drinking, drugging, over-eating, etc. if you don’t admit that you have a problem in the first place. When I took this first step it opened my mind in a way I never thought possible. It brought me to a place I had never been comfortable, vulnerable. Hitting “rock bottom” helps accomplishing this easier, but how wonderful would it be to have this realization without having to get to such a dark place where there are no other options? When I made the descision to “come out” as an alcoholic I was absolutely floored by the reaction I received not only from those who are close to me, but from those who are just acquaintances or people I haven’t had in my life since high school. They admired my candidness and honesty. They were rooting for me. They liked me. This is everything I have always wanted. Acceptance. Honesty, the thing I’ve fought against my entire life, has given me the one thing I have always wanted…love. not able to focus long enough or have enough faith in myself to take the steps necessary to accomplish any of the things I thought I wanted. I have been a very jealous person. If someone had something I thought I wanted, instead of coming up with a plan to get it for myself, I would wallow in jealousy and self-pity. I know now how dangerous and destructive this mind set can be. Everything I have done and been through in my life has brought me to the place I am today. I am not a victim of my circumstances I am an active and willing participant. I’m the sole investor in my life. I just need to pay attention to the market and make wise decisions to protect my investment. It’s actually simple when you break it down like that. Making good decisions, having the right mind-set and seeking the truth in all things breeds Hope. Hope is wonderful. I’ve always associated Hope and Faith together(and not because of that terrible Kelly Ripa sitcom from the 90’s) but they really aren’t mutually exclusive. Working together they are a powerful tool, but finding each individually can be a challenge. I have always believed in a Higher Power/God. Even though my rational mind finds it difficult to believe in things I can’t see/touch believing that the Universe is a series of random events never made sense to me. There have been events in my life that can’t be explained logically. A great example of this occurred at my niece’s wedding this year. I had been really looking forward to this event for a while. I had just started losing weight and was feeling great. My family had had a emotional week due to an incident with my Uncle missing and we had just found out that day that he was ok. Even though the situation made me very angry, I was glad that it was resolved before the wedding so we could all relax and just have a good time. All of my family was dressed to the nines and smiling. My niece’s and nephews and their children all looked great. We are a handsome family. Now, lets be clear. My sister did look beautiful and I do love her, but I have no memory of writing that message. It was clear to me at that moment that my Dad had delivered that message and I teared up. It was one of the most precious moments of my life. Feeling his presence with me filled my heart with so much joy. Being able to deliver that message to my sister for him was such an honor and I am grateful to my Higher Power for allowing him and I to experience that. This was a sign for me that He had a plan for me. I just had to be open enough to see it and accept it. My Faith was restored and has been an integral part of my recovery. or whatever the quote is, resonates with me these days. I relied on “liquid courage” for too long. I needed that in social situations because I didn’t have faith in myself. I didn’t believe that anyone would like sober me. I didn’t like sober me, how could anyone else? Of course, because I was honest with myself about who I was I couldn’t have faith in people to like me for me and therefore lacked the courage to be my authentic self so there could be no hope to find happiness. They all work together, don’t they? Being a person with ADHD who struggles with impulsivity issues, this one has been a challenge. Having integrity, for me, means knowing who you are, knowing what you stand for and not compromising these principles. I have gone through most of my life not knowing who my true, authentic self was and therefore having meaningful principles that I stood for was not entirely possible. One of the best example of where I need to work on my integrity is with regards to my sexuality. I tend to give in too easily to my primal sexual urges and make compromises that are not always in my best interest. I too readily will give myself to someone without much thought to whether that person is even deserving of my attention. As my self-esteem grows I am finding it easier to make choices in with the people with whom I choose to be intimate. I am learning that sticking to your principles is a source of great strength. It is a source of great pride. Having integrity is key to accomplishing your goals and earning the respect of others. These are things I’ve always wanted so the work is being put in, and the rewards and possibilities are endless. You’ve got to put in the work. You’ve got to want it. It starts there. You’ve got to do it for you and you alone. I want to be sober. I want to be healthy. I want to be happy. I want to be successful. I am willing to do whatever I need to do to accomplish this without compromising any of the principles I have discovered are so necessary. But it doesn’t stop there. Your support system has to have that same willingness and commitment to your sobriety. I am so lucky to have that. The wonderful people in my life have made that commitment and I can not and will not let them down. I thought I understood humility. I thought I had it. What I actually had was low self-esteem. It is not the same thing. Humility is realizing that your actions and decisions effect not only yourself but those around you. You have to have enough self-awareness to realize that you aren’t alone in this Universe and that there is a greater good. Being humble is a trait I admire in so many of the people I have kept close to me and a lack of this trait is something I am careful to recognize in others and stay away from them. You can be self-assure and be humble at the same time. This is one of the most important principles an addict must adapt into their everyday lives. This one is so timely. There is so much injustice in this world right now. I could write an entire entry just on this alone, but to keep to the topic of this post I will relate it to how this plays into my recovery. Learning to be self-aware and self-reliant means standing up for yourself. As a flawed individual who is picking up the pieces of my life I have to remember that I deserve a certain modicum of respect for myself and from others. I will make amends to those I’ve harmed, even if it takes the rest of my life and I will not allow people to take advantage of me either. I will not allow the mistakes of my past or the injustices put upon me by others dictate who I am.